Alan Michael Sugar was born on 24 March 1947, in Hackney, London, England, to Fay and Nathan Sugar, of Jewish descent. He is an English businessman, media personality, politician and political adviser, best known as the founder of the electronics company “Amstrad”, and as the star of the BBC version of the reality television show “The Apprentice”. 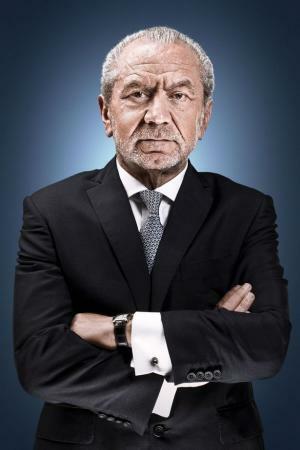 A noted entrepreneur, how wealthy is Alan Sugar? Sources state that Sugar has acquired a net worth of over $1.58 billion, as of early 2017. His wealth has been accumulated through his business ventures, and through his involvement in the entertainment industry since the early 1960s. Sugar grew up in Hackney, being raised in a quite poor family along with his three siblings. There he attended Brooke House Secondary School, and worked for a green grocer during his student years. At 16 he left school and began a small business of selling car antennas and other electronics. After some time, he began earning good money, and eventually launched an export-import and wholesale company called Amstrad, which soon expanded into consumer electronics. Shortly after, the company began production, quickly expanding its manufacturing capacity. By using innovative techniques in its production, it maintained lower prices, making the business a booming success, such that within a decade, Amstrad became one of the leading marketers of low cost and high quality products, earning great profit. The success of the company greatly contributed to Sugar’s net worth, making him an extremely wealthy man. In the mid-’80s, the company launched affordable portable computers, selling three million units during an eight-year production, and reaching a market value of £1.2 billion, boosting Sugar’s wealth. However, during the ’90s Amstrad ran into hard times, failing to achieve success in the video game console market, as well as with the production of the Amstrad Mega PC, PenPad and PDA devices. The company then focused on telecommunications, buying telecommunication businesses such as Betacom, Viglen Computers and Dancall Telecom. However, it wasn’t until it became a major supplier of set top boxes to the UK satellite TV provider Sky, that the company saw great success again. In 2007 Sugar sold Amstrad to BskyB for £125 million, and his net worth skyrocketed with the deal. Meanwhile, in 1991 he became a co-owner of Tottenham Hotspur football club. However, although he managed to decrease the financial problems the club was having, he treated the Hotspur entirely as a business investment, which caused a lot of dissatisfaction among the fans. In 2001 he sold 27% of the club for £22 million to leisure group ENIC, and in 2007 he sold them his remaining shares for £25 million, greatly increasing his fortune. Sugar has also earned good money by being involved in other business ventures, including the aviation company Amsair Executive Aviation, investment firm Amsprop, as well as a digital signage company called Amscreen, which are today run by his sons. In addition, he has been on the board of the BBC initiated IPTV project called YouView. Sugar has also been a prominent figure in the entertainment industry, being involved in the BBC reality television show “The Apprentice” since 2005. The show portrays contestants competing to be hired by Sugar, who fires one contestant each week until only one is left to become the winner and Sugar’s new employee, or his partner in a new business. He has also hosted its spin-off called “Young Apprentice”, in which a group of younger contestants compete to win a £25,000 prize. In addition, he has also appeared in the television show “Who Wants to be a Millionaire?” and in several documentaries, as well as in the series “Doctor Who” and “EastEnders”. His involvement in television has been another source of his wealth. Sugar has been involved in politics too, being a member and a main donor to the Labour Party since 1997. In his private life, Sugar has been married to Ann Sugar since 1968. The couple has three children together. The businessman has been involved in philanthropy, supporting charities like Jewish Care and Great Ormond Street Hospital. 1 Sad news on the death of Jimmy Savile. Very funny man and did loads of work for charity. RIP. 2 They're a special ilk of people that work at the Daily Mail. They're nasty, nasty people. 3 [on Daily Mail editor Paul Dacre] If you lay down with dogs you might get fleas and he is a dog, trust me, a dog of the biggest order. 4 I think I can play whatever games the Daily Mail play. 5 You have to fight fire with fire. It's the only thing lowlifes understand. 6 I know everything. I've seen everything. I've done everything. 7 I don't care if Ed Miliband is backing Livingstone (Ken Livingstone). I seriously suggest no one votes for Livingstone in the Mayoral elections. 8 There was a period of time when I was not happy with the Labour Party, the kind of Scargill (Arthur Scargill) era. But when Tony Blair came along, he effectively came out with this New Labour concept and New Labour, as I've stated so many times before, is to me the Conservative Party under a different guise. It is therefore more for the people than perhaps the Conservatives were in the past. In other words they are interested in prosperity, but prosperity for everybody and not just the elite few. 9 Never underestimate me because you will be making a fatal error. I don't like liars. I don't like cheats. I don't like bullshitters. I don't like schmoozers and I don't like arse-lickers. 1 Left school at the age of sixteen. 2 His father was a tailor. 3 He worked briefly for the civil service as a statistician at the Ministry of Education. He started selling car antennas ("aerials") and other electrical goods out of a van which he had bought with his savings of £50. 4 He is a collector of classic Rolls Royce and Bentley motor cars. 5 A qualified pilot with 30 years' experience, Sugar owns a Cirrus SR22 four-seat aircraft, based at Stapleford Airfield. 6 A huge fan of ''Doctor Who''. 9 He was awarded Knight Bachelor of the Order of the British Empire in the 2000 Queen's Millennium New Years Honours List for his services to the Home Computer and Electronics Industry. 10 Gave £200,000 to the Labour Party in 2001. 12 Children - Simon (born 1969), Daniel Michael (born 1971), Louise Jane (born 1974). Also has 6 grandsons and 1 granddaughter (as of December 2006). 13 His niece is the actress, singer and model Rita Simons. 14 Became a millionaire after founding the British computer company AMSTRAD, which is an acronym of "Alan Michael Sugar Trading". He was knighted in 2000.